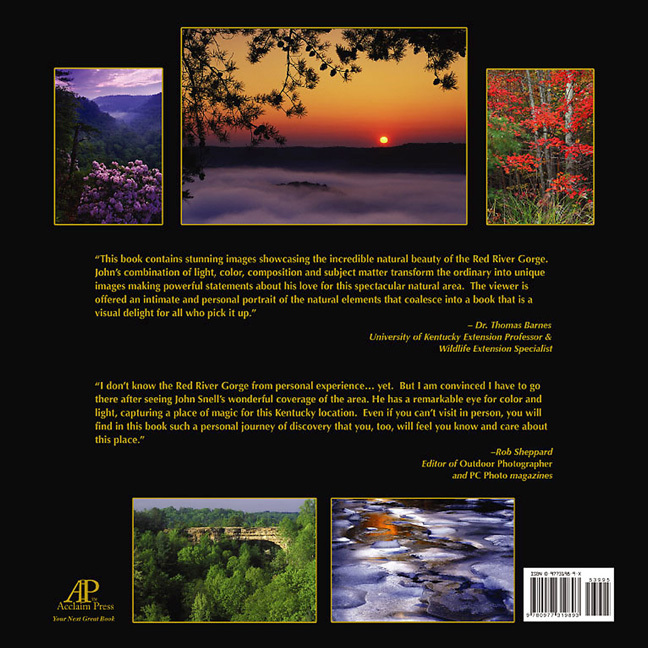 I have teamed up with Acclaim Press to create the first-ever hardbound coffee-table book featuring the dramatic landscape, vibrant scenery and rich foliage of eastern Kentucky’s Red River Gorge area (near Natural Bridge in the Daniel Boone National Forest). 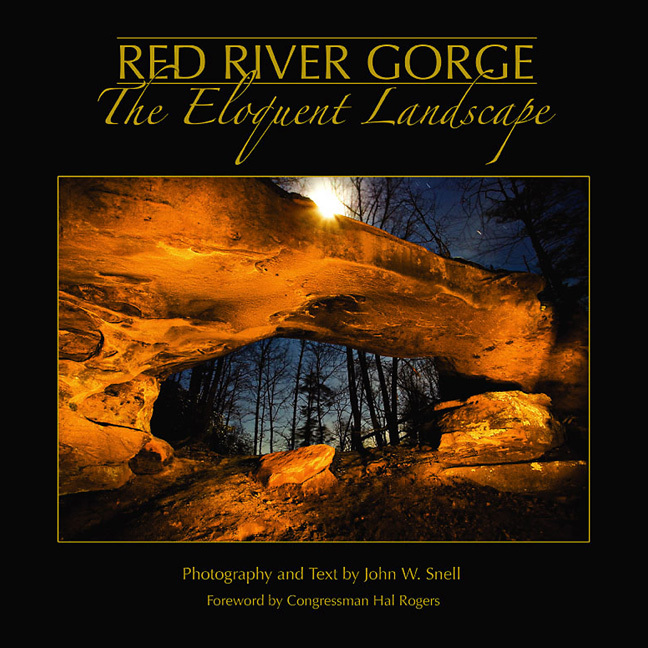 The large 11”x11” top-quality volume of 168 glossy pages is filled with full-color photographs, along with first-hand accounts of my experiences in "the gorge". These exclusive photographs showcase one of Kentucky’s most treasured areas, known for its 100-plus natural stone arches, extravagant displays of springtime wildflowers, stunning autumn color and varied recreational opportunities such as world class rock climbing, hiking, canoeing, camping and more. This wonderful book sells for $39.95 (plus $5 shipping, where applicable. Note: FREE SHIPPING on orders placed between Sept 1, 2008 and Sept 15, 2008). Please do not send credit card information by e-mail. For your security, it's best to call that in to me. The first printing sold out after less than two months! The second printing is nearly sold out, too. For now, I have plenty in stock. Lastly, the book is available at Lexington, Kentucky retailers such as Joseph-Beth (859-273-2911), Barnes & Noble (859-543-8518), Good Foods Market & Cafe (859-278-1813) and at Court Street Gifts in Winchester (859-744-3434). Book stores in the Louisville, Kentucky and Cincinnati, Ohio area also carry the book. Call ahead for availability.